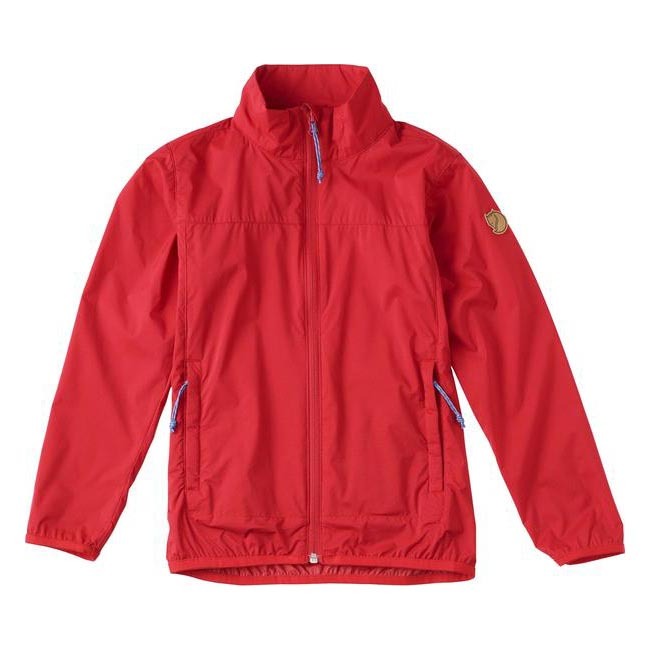 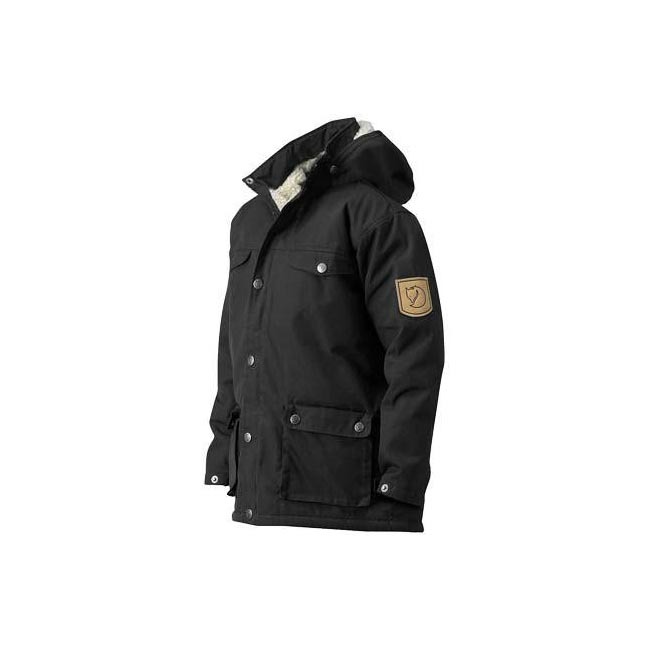 Durable outdoor jacket for junior sizes in classic Fjällräven style. 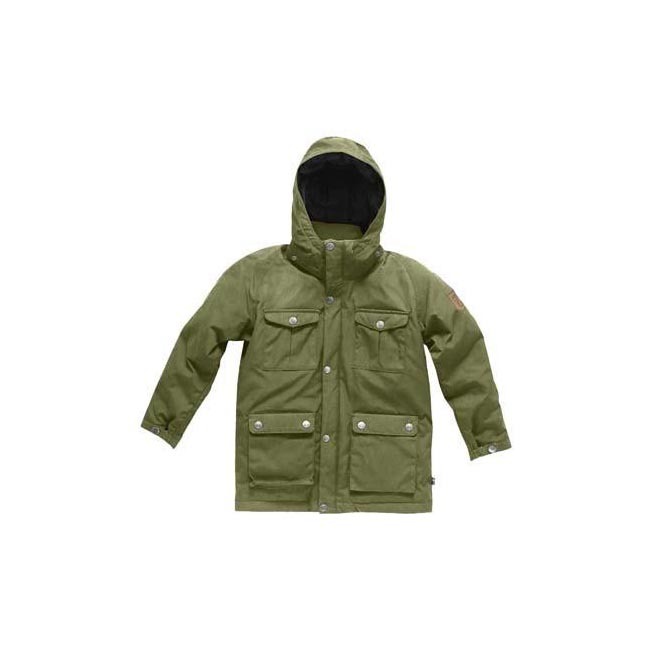 Close-fitting hood, comfortable bellow side pockets with two openings. 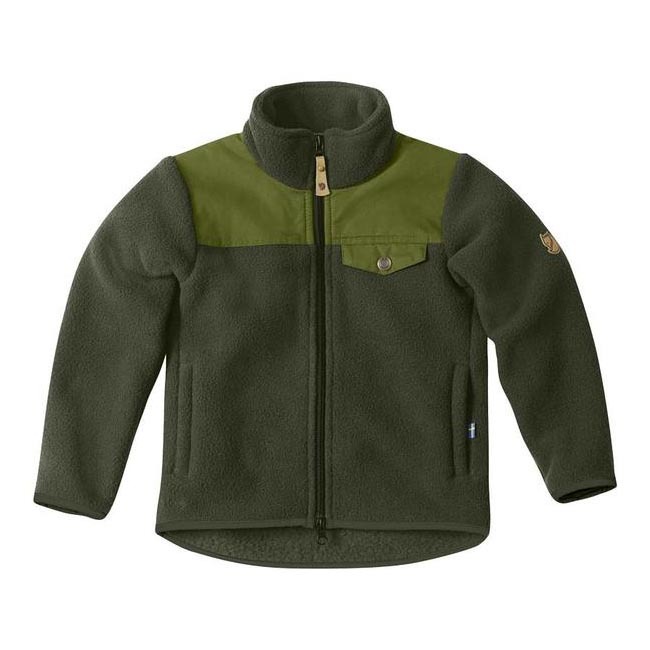 With the right clothes for playing and making discoveries, children will learn to love nature at least as much as you do. 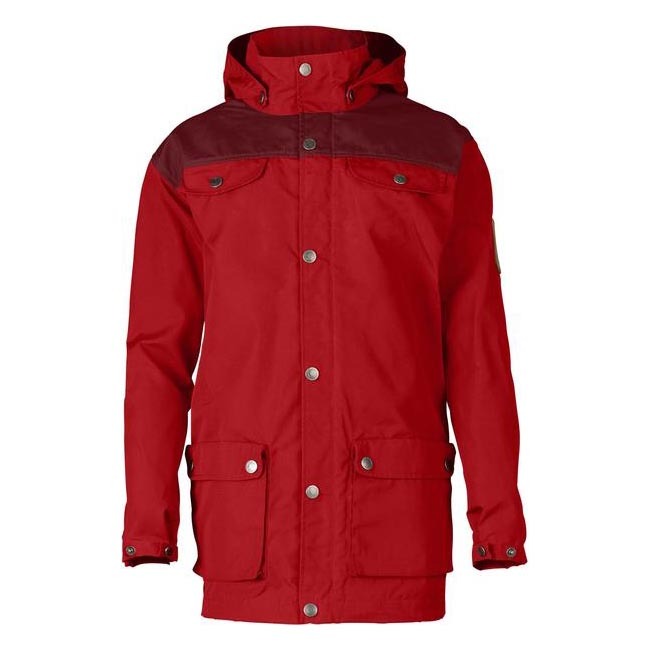 This classic and practical Fjällräven outdoor jacket is one example of the right type of clothing. 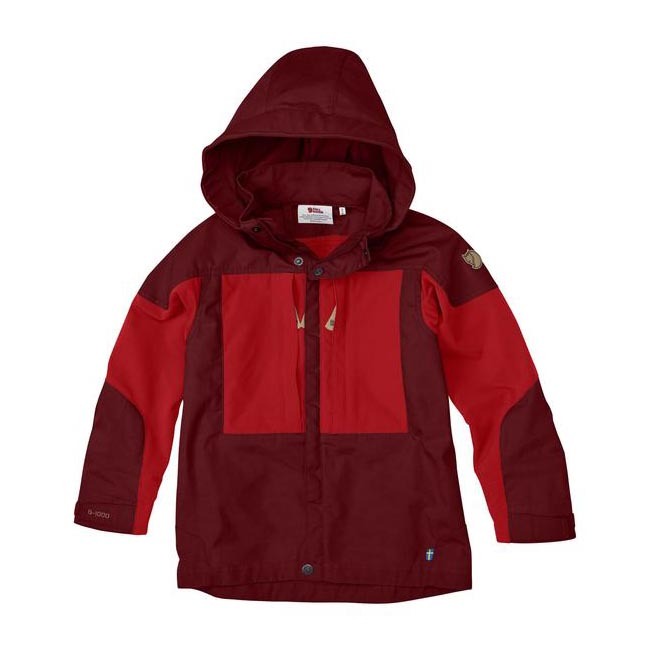 Some of the nice details include a close-fitting hood and hand pockets with bellows and two openings. 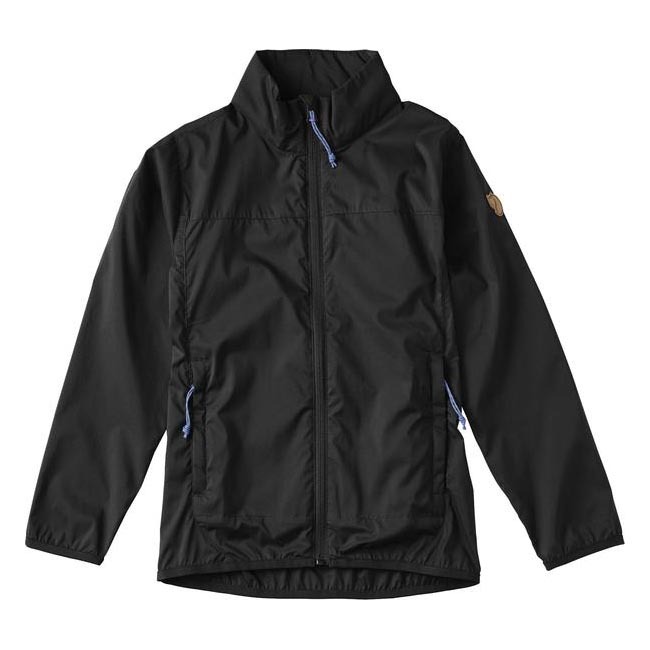 Robust zipper in the front that is hidden behind a button placket. 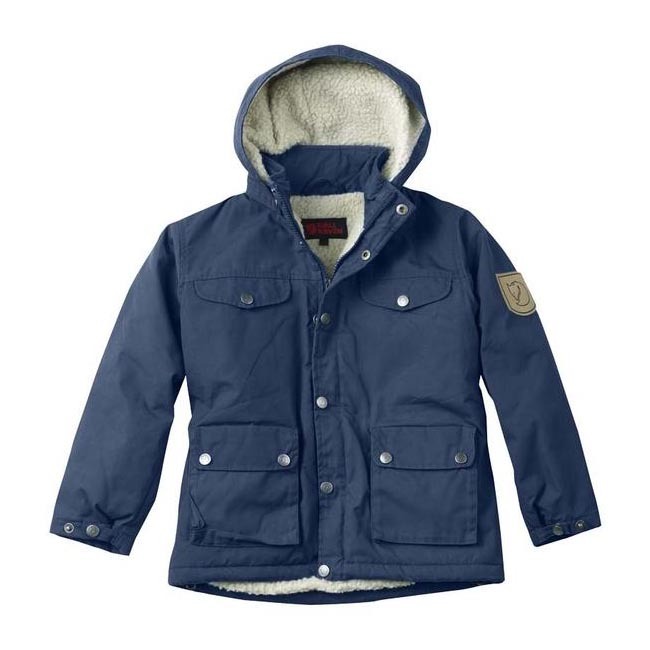 Button adjustment at the sleeve ends and reinforcements on the elbows and yoke. 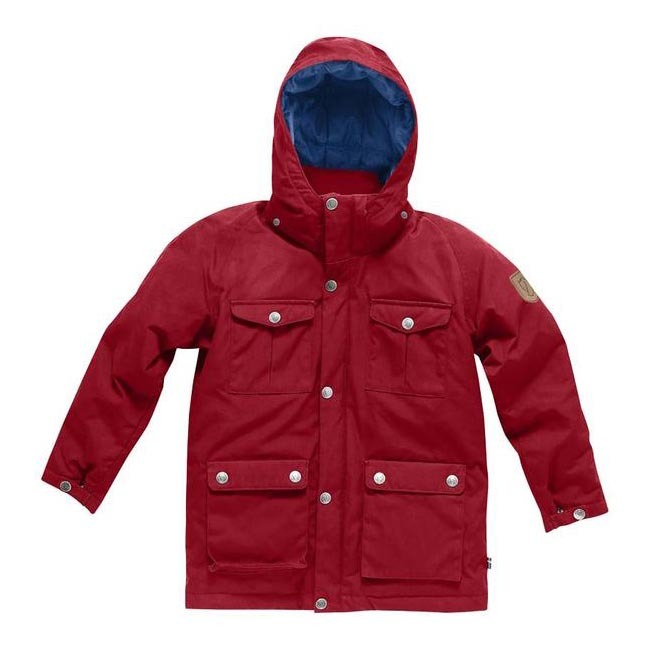 Describing the garment as 'durable' does not begin to do it justice; just like our garments for adults, we use our G-1000® fabric, which means it will in all likelihood be handed down from sibling to sibling and cousin to cousin.